Blind Willie Johnson’s “Dark Was the Night, Cold Was the Ground” has fascinated blues lovers, and envious slide guitarists, since Columbia Records released it in 1927. But the biggest compliment to Johnson’s work came in 1977 when it was immortalized in a gold record and shot into space aboard the Voyager spacecraft. 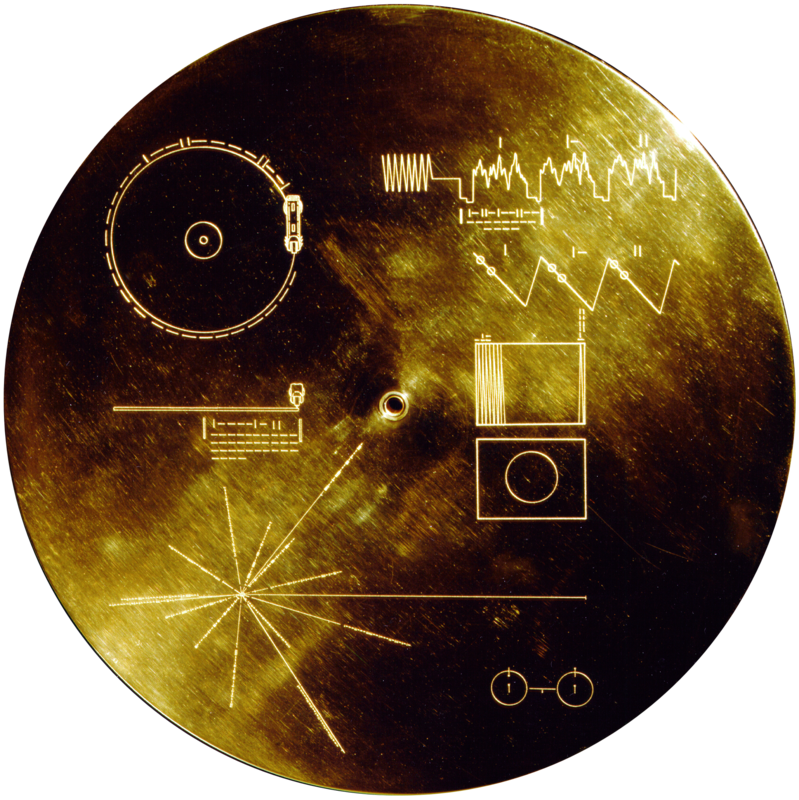 “The Golden Record” complied by a team headed by Carl Sagan, represents life on earth with sounds like crickets chirping, a kiss, and 27 songs from different cultures. This song was included to express a timeless human pain: facing nightfall with nowhere to sleep. Today Johnson’s song, far beyond our solar system, is still ready to play for one very long, dark night. This episode was co-written by Maggie Cregan, part of the Sound Beat Class Partnership. Photo: Voyager Golden Record, courtesy of Wikipedia.